IMMACULATE 4WD CHEVROLET TAHOE!!! LOW MILES! LOCAL TRADE 1 OWNER TAHOE WITH A CLEAN HISTORY! BOY ARE WE EXCITED TO HAVE THIS SUV IN OUR INVENTORY! 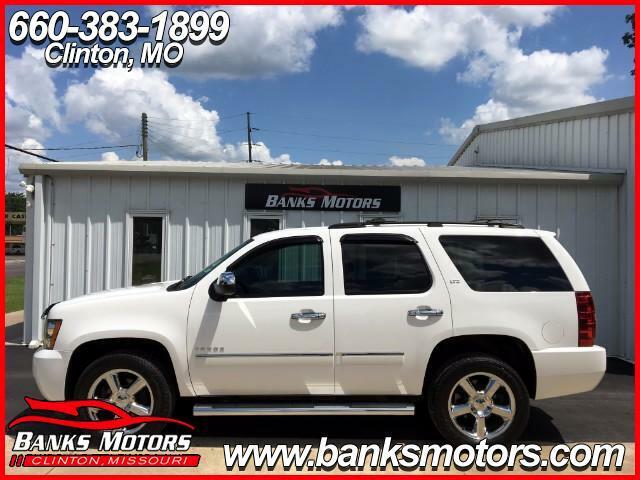 THE PREVIOUS OWNER OF THIS LOADED UP LTZ TAHOE HAS SERIOUS ATTENTION TO DETAIL AND YOU CAN SURE TELL WITH THIS TRADE. IT IS ABSOLUTELY IMMACULATE INSIDE AND OUT AND IS LOADED WITH TONS OF FEATURES WHICH INCLUDE...BOSE, NAVIGATION, DVD, SUNROOF, HEATED AND COOLED LEATHER, HEATED SECOND ROW LEATHER, HEATED STEERING WHEEL, 20" CHROME WHEELS, BACKUP CAMERA, GM CHROME PACKAGE, BACKUP SENSORS, DUAL CLIMATE CONTROL, ADJUSTABLE FOOT PEDALS, DUAL POWER SEATS, POWER FOLDING MIRRORS, BLUETOOTH, STEERING WHEEL AUDIO CONTROLS AND MUCH MORE!!! !